This reconstruction of A.V.Roe’s original shed contains an accurate replica of the ‘Roe 1’ Biplane, the original of which was used by A.V.Roe to carry out pioneering flight trials on the Finishing Straight in 1908. 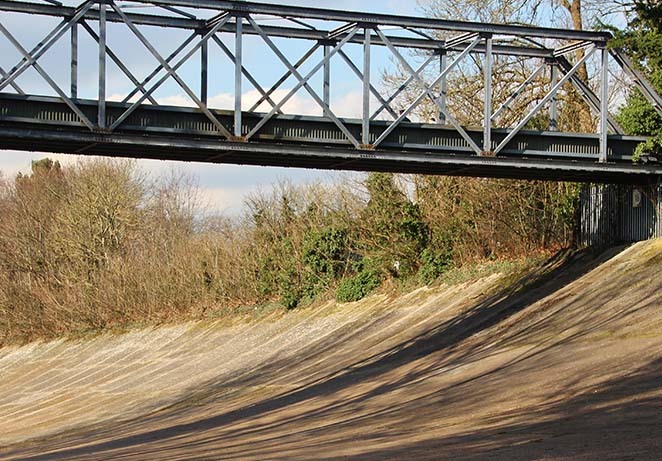 Built by Vickers-Armstrongs to mark the 50th anniversary of the opening of the Motor Course, it was unveiled by Lord Brabazon of Tara in July 1957. 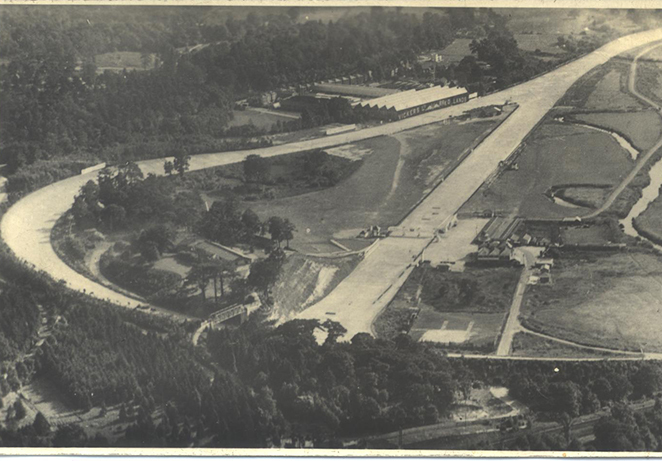 The memorial was originally located at the North end of the aerodrome and was designated as a Scheduled Monument in 2002. It was relocated to its current position on the museum site in 2006. To defend against attack by enemy aircraft, a series of concrete towers were erected on which 40mm Bofors Anti-Aircraft guns were mounted. The tower is awaiting restoration. To defend against a potential attack by enemy paratroopers intent on sabotaging the factory, a pillbox was erected close to the bridge across the River Wey which was used to move aircraft from the factory to the airfield. 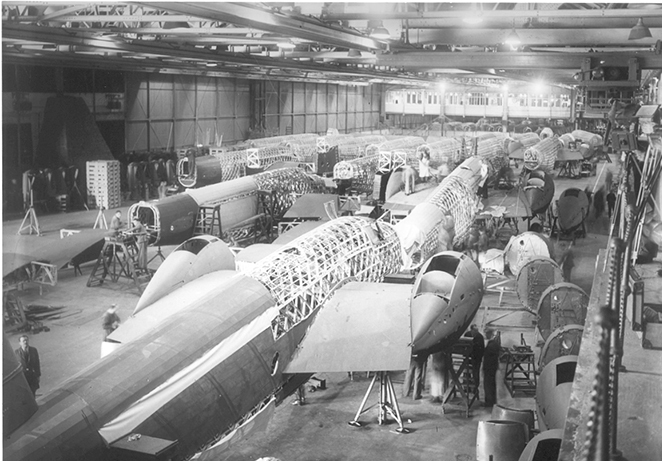 The threat of attack by enemy bombers led to the construction of a series of shelters around the Vickers aircraft factory. These include the small shelters at either end of the original location of the Museum’s Bellman Hangar and the small brick structures at the base of the Members Banking, once the site of another Bellman Hangar.